Another sign that the climate is changing. 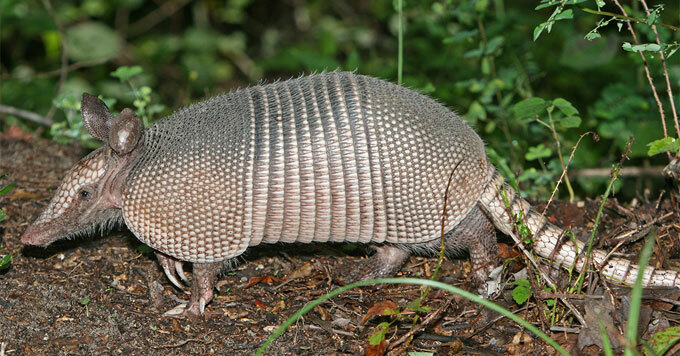 The nine-banded armadillo is native to Central and South America. But in the mid-1800s, these small armored mammals moved north into Texas. Now, they’re found in much of the Southern U.S. – in places where it’s moist enough for the insects they eat, and warm enough for their furless bodies. And armadillos seem to be responding. Since then, armadillo sightings have been reported in almost half of the counties in the state. It’s too soon to know how common armadillos will become in North Carolina – or what their impact will be. But Olfenbuttel says the fact that they’re found there at all is a sign of a warming climate.